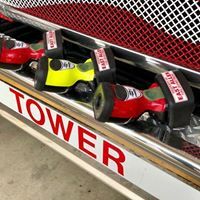 The East Allen Township Volunteer Fire Department has reached a milestone. 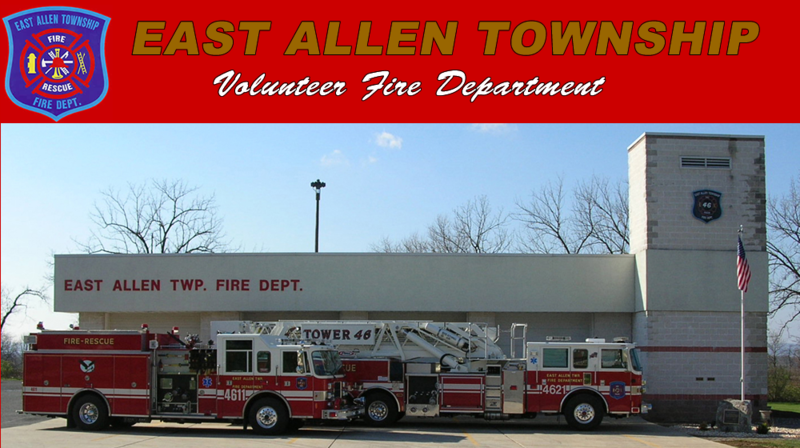 We have now completed 40 years of service to the residents of East Allen Township and surrounding communities, having gone into service on January 1 of 1979. We have come a long way since then. In our first year of operation we were dispatched to 42 calls. 2018 has seen over 420 calls. And while the number of emergencies is on the rise, our membership numbers continue to decline. We are not alone in this dilemma. Most volunteer fire departments in PA are facing the same issue. Please consider joining us to see how rewarding it can be by taking part in one of this country’s greatest and oldest traditions. Interested? 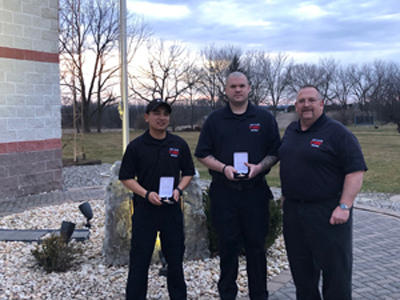 At the 3/28/19 East Allen Township Board of Supervisors meeting, three of our members were recognized for their actions at a fire earlier this year. 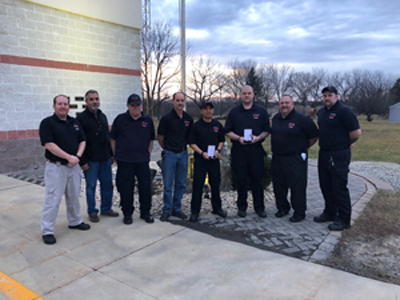 They were presented with Medal of Valor awards by Fire Chief Barry Frantz.. The situation begins at a working structure fire where Tower 4621 had been dispatched. Upon arrival, there was a firefighter hanging out a third story window. He had been cut off from his escape route by the fire, and was in grave danger. There was no time to set up the aerial ladder, so Fire Lieutenant/EMT Josh Schmoyer, Firefighter/Paramedic Jason Hadinger, and Firefighter/EMT A.J. Quiteles quickly went into action and extended a ground ladder as close to the window as they could, but came up a little short. Then they extended the ladder beyond its design range by hanging on the halyard to ensure that the ladder would not retract. The trapped firefighter was able the exit the fire headfirst down the ladder. He sustained burn injuries and was hospitalized, but survived thanks to the prompt decisions and actions of the three firefighters. Lt. Schmoyer will receive his medal at a later date as he is currently serving our country as a U.S. Marine. The Officers and Members of the East Allen Twp. 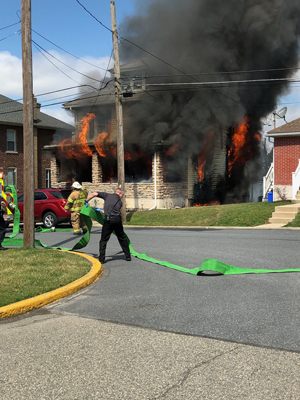 Fire Department are pleased to announce that over the last 2 years we've received two Assistance to Firefighter Grants (AFG) and two Pennsylvania Office of the State Fire Commissioner Grants (OSFC). 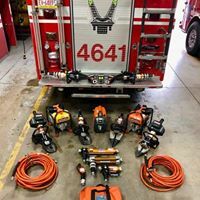 With the awarded funds given to us through these grants we were able to purchase and replace aging and obsolete hydraulic rescue tools with new Holmatro hydraulic rescue tools, aging thermal imaging cameras with new Bullard thermal imaging cameras, and replace the garage doors on the fire station.